Bringing deep and diverse flavours of European cuisine into FYR Cycene Ond Drinc, pronounced as FIRE Kitchen and Drink, executive director Rosy Aziz and his team marries the essential Asian spices into the European dishes created at this casual dining restaurant. FYR Cycene Ond Drinc is the latest addition to the CBD (Central Business District) food scene where many European restaurants and bars can be found. Located at one of heritage shophouses on 19 Boon Tat Street, FYR Cycene Ond Drinc boasts a rustic and rugged vibe with a sepia-hued wall murals, hardwood benches and overhanging vintage chandelier. 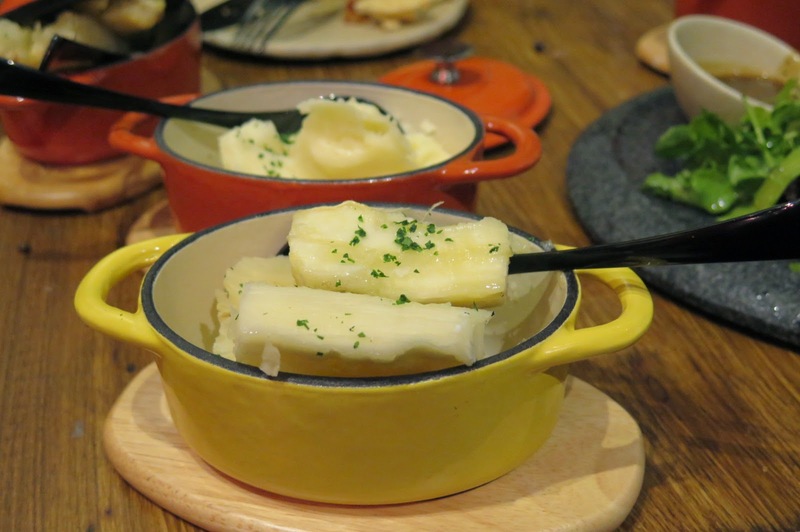 Using traditional characteristics of European cuisine and with a focus on modern presentation, the dishes at FYR Cycene Ond Drinc has the pleasures of homely, rustic fare and served beautifully on stone boards. The highly rated Josper Charcoal Oven in the kitchen brings added value that comes from the lychee wood (charcoal) to obtain those wonderful smokey notes, as well as a perfect texture and juiciness of the dishes doled out by the chef. 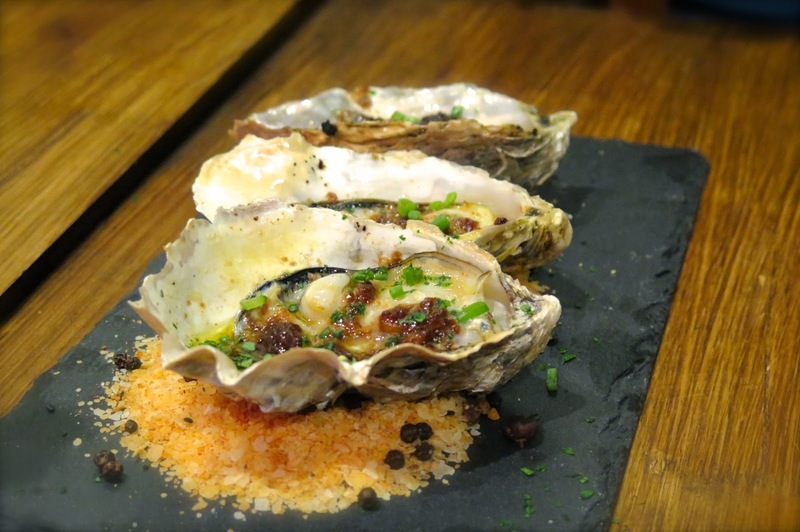 Try the Baked Freshly-Shucked Oysters ($15) where the noble sweet paprika, roasted garlic and calamansi contrast distinctively with the tastes of the sea from the fresh and succulent oysters. 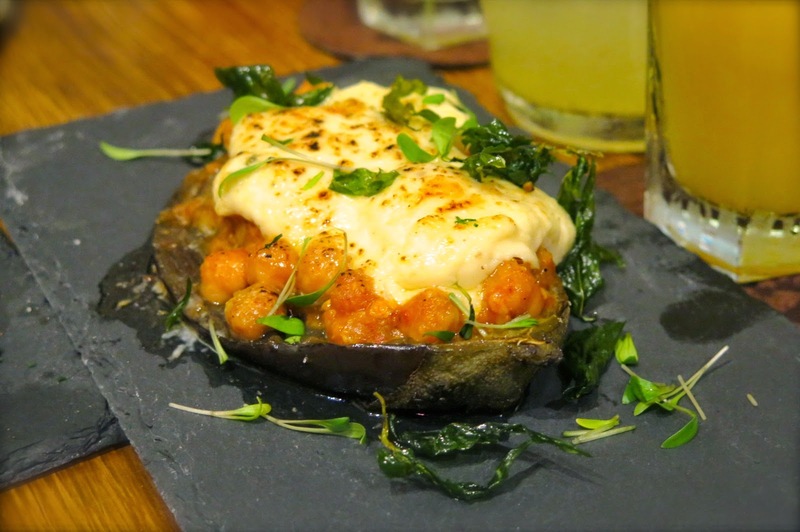 The Baked Aubergine goes soft and tender which makes it lighter to eat with the chickpea ragout (stew) and added ingredients such as miso, bechamel and parmesan for that extra oomph. 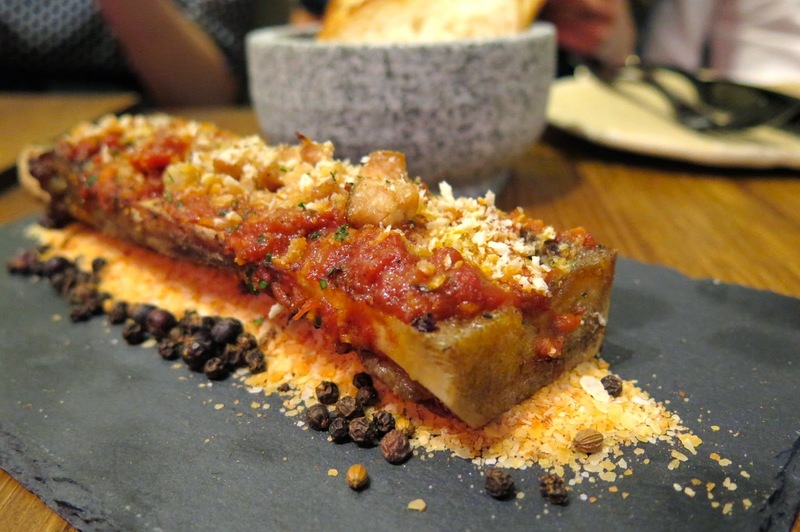 The Half Bone Marrow is marrow-sprinkled with salt and baked until rich, unctuous and irresistible with the spikes of exotic Thai basil and Asian spices. The half bone marrow is served with veal sweetbreads and best eaten when its hot. 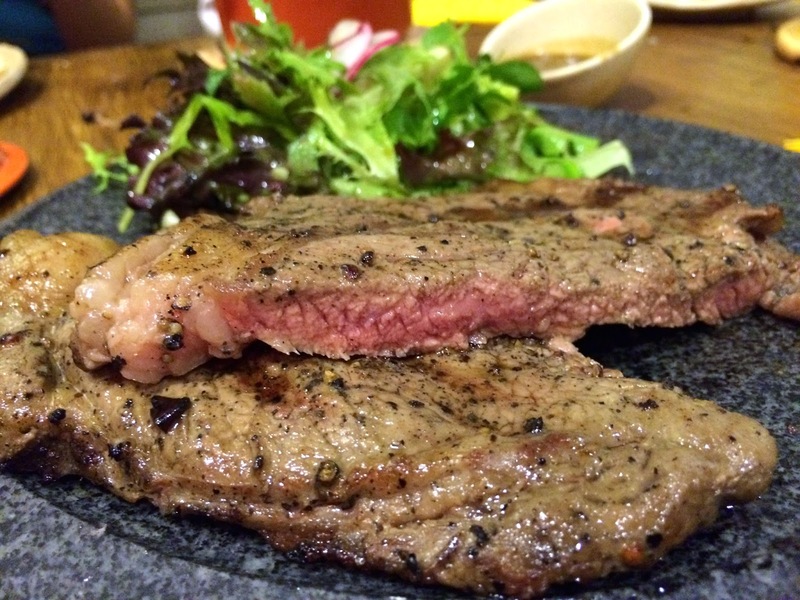 Beef lovers would enjoy the hearty favours of a gourmet, grain-fed Ribeye steak that comes with house salad with java curry dressing and a choice of either Buttered Cassava or Mashed Potato. We love the idea of sharing platters so that you can get to try more dishes. 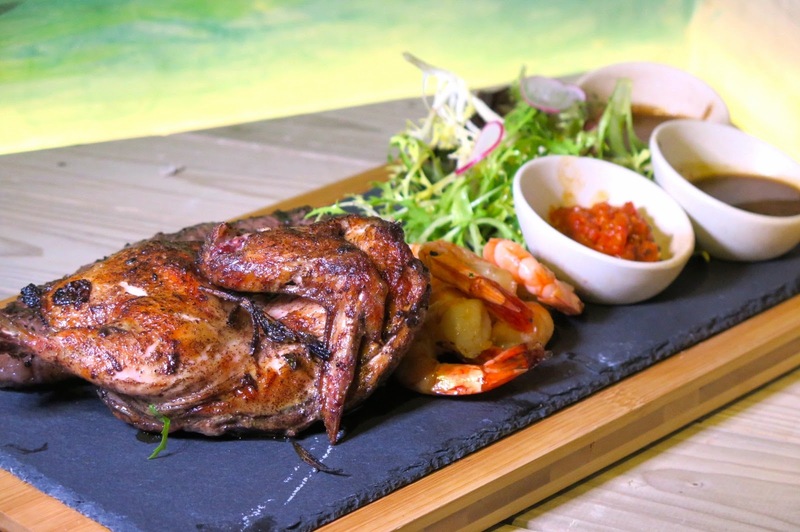 FYR drive a hard play with their meat platter featuring a five-spiced half chicken, thick-cut beef striploin and fresh juicy tiger prawns, served with house salad and java curry dressing, plus a choice of either buttered cassava or mashed potato. 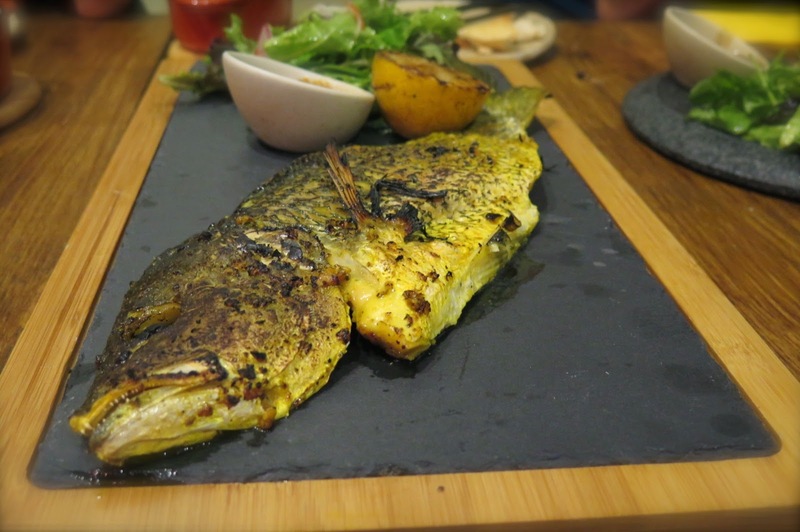 Oven steamed snapper rubbed with powered spices for the Asian flair is a good seafood offering at FYR. Those looking for a fiery treatment can add the sambal belacan onto the red snapper for an excellent flavour. Nothing is as elegant as the whole Maine lobster that will provide memories of a lifetime. 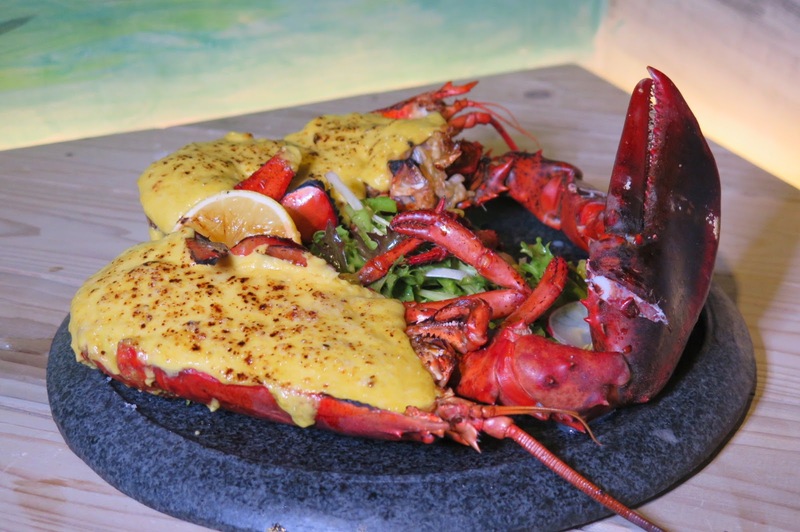 The gigantic crustacean generously dressed with shallot lemongrass bechamel lends a tangy zest to the baked lobster, which will probably whet your appetite. This restaurant-worthy pasta is one of my favourite staple dish, as I like the savoury taste and the saucy consistency of the lobster bisque contained within the pasta. 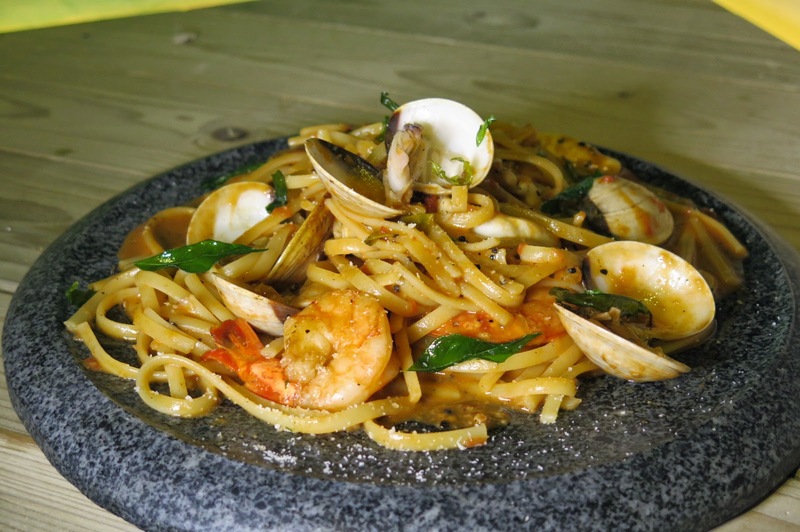 The seafood ingredients were fresh, but the pasta could have been perfect if its cooked al dente and with more parmesan added. 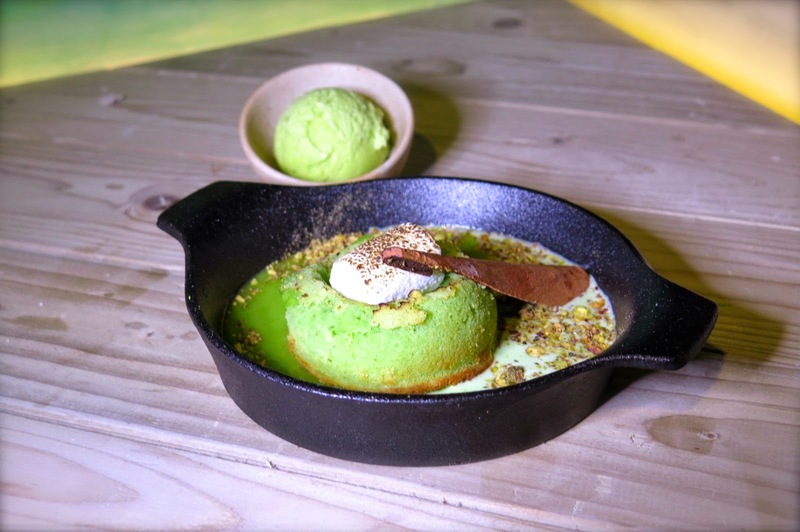 A rare dessert concoction with a pairing of homemade pandan ice cream and baked pistachio flavoured lava cake served in a pan. This innovative dessert has a limited number of servings as it is daily freshly prepared, therefore you shouldn’t miss out this decadent treat. FYR Cycne Ond Drinc is a lovely establishment with friendly service and chilled ambience that puts you in a relaxed mood to melt away your stresses after a long day of work. Food-wise, FYR fills a different niche than the places around the corner, some of the dishes lacked quality, texture and flavours, but the menu prices are certainly affordable. I truly believe that FYR Cycne Ond Drinc is built to provide modern European cuisine in an informal and cozy atmosphere, and it deserve more careful attention and continuous improvement. I might come back for lunch as the promotion is really attractive for a 2-course meal at $25++; 3-course at only $29++ and drinks starting from $7.80 during happy hours everyday. There is definitely more potential and delightful surprises that FYR offers!